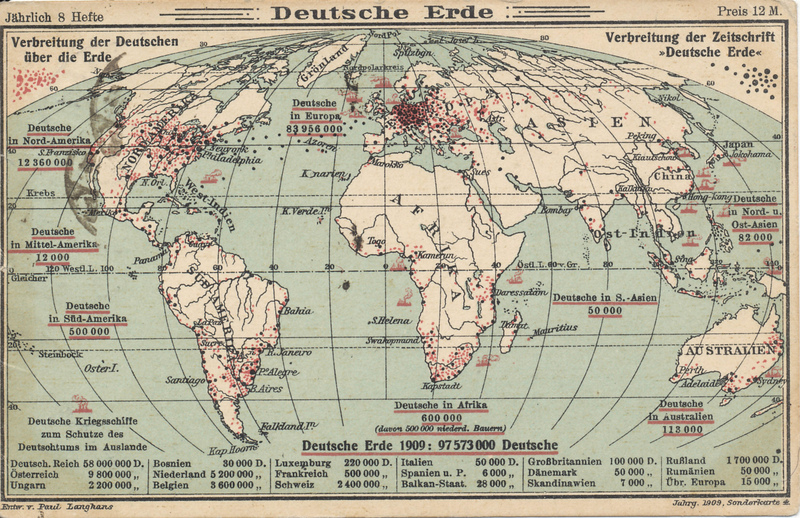 The German-speaking world, 1909. 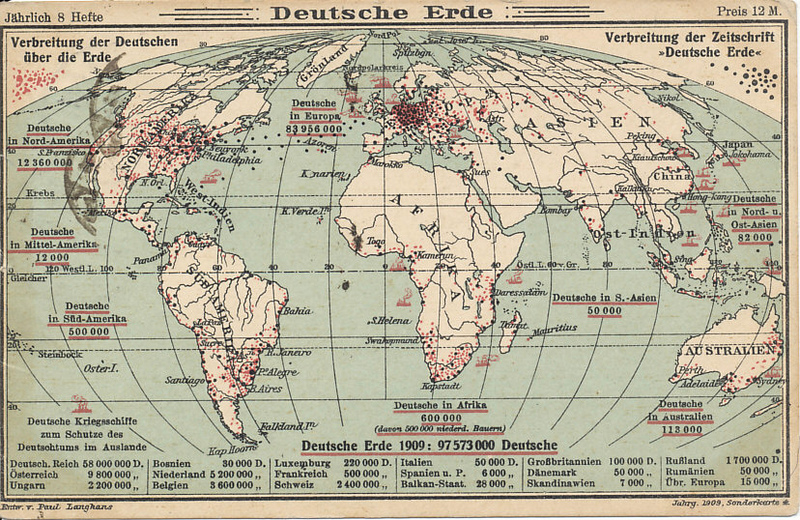 A postcard from the journal "German World" showing the distribution of Germans and German-speakers around the world. 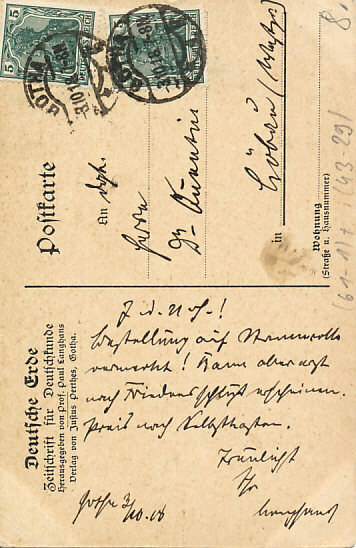 Note the red ships designating "German warships for the protection of Germans in foreign countries." Of the 600,000 Germans in Africa, 500,000 are "Low German farmers". 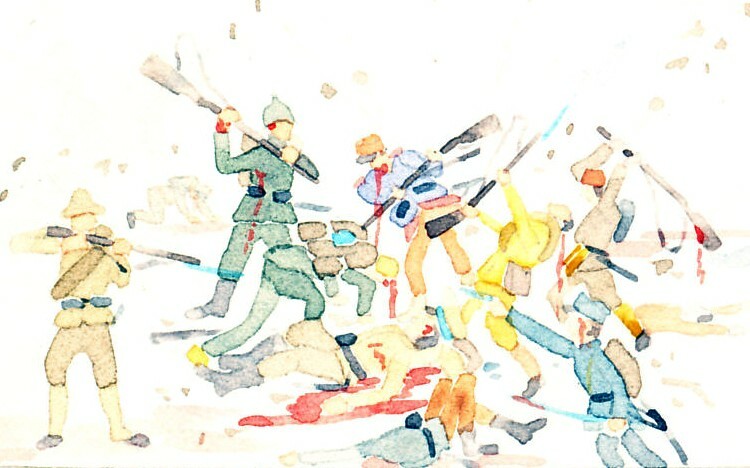 North America was home to over 12,000,000 Germans and individuals of German descent, the largest population outside of Europe. Jährlich 8 Heft; Preis 12 M.
Annual 8 issue; Price 12 M[arks]. 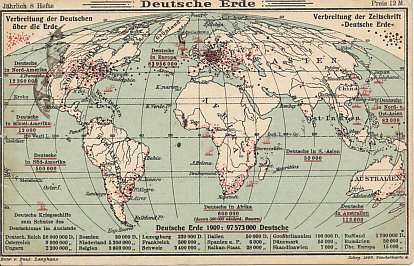 Distribution of the journal "German World"